Unlike most other wall sticker companies, Wall Decals can produce custom and bespoke decals for our customers. We’ve made it easy and affordable to create your very own custom wall decals. Generally, people like to pick a favourite quote or their child’s name in a stylish font. Alternatively you can send us your a design you like and we could replicate it. This is also a popular option for companies looking to adorn their office or premises with a logo, their brand name, or a motivational quote for staff. We’ll send over mock-ups of how the decal will look like, so you can make amendments or offer suggestions before we create it. 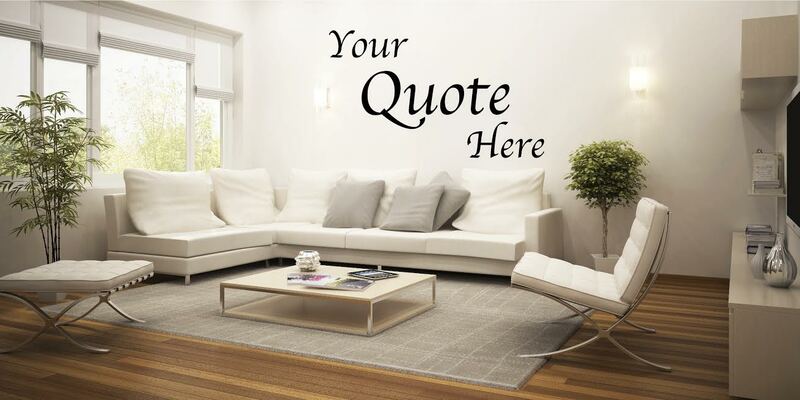 Fill out the contact form below or get in touch with us at info@walldecals.ie and we’ll start creating your dream decal! Alternatively, you can ring us on (01) 424 3956.